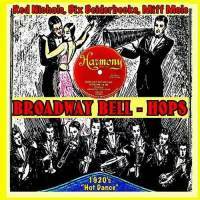 Song titles such “Oh You Lulu Belle,” “I Found A Round About Way To Heaven” or “There’s A Cradle In Caroline” don’t exactly scream “excitement” from the back of Vintage Music Productions’ CD of the Broadway Bellhops (a similarly vanilla sounding name). Even the double entendres of “Don’t Take That Black Bottom Away” or “Tonight’s My Night With Baby” evidence commercial dates, rather than spontaneous, artist-motivated jazz. Yet after picking this disc up on a recent pilgrimage to J&R, I was still eager to fly home and discover what might pop out from underneath all this corn. The cover’s promise of “Bix Beiderbecke, Red Nichols, Miff Mole and More” kept me on the edge of my seat, track listings aside. 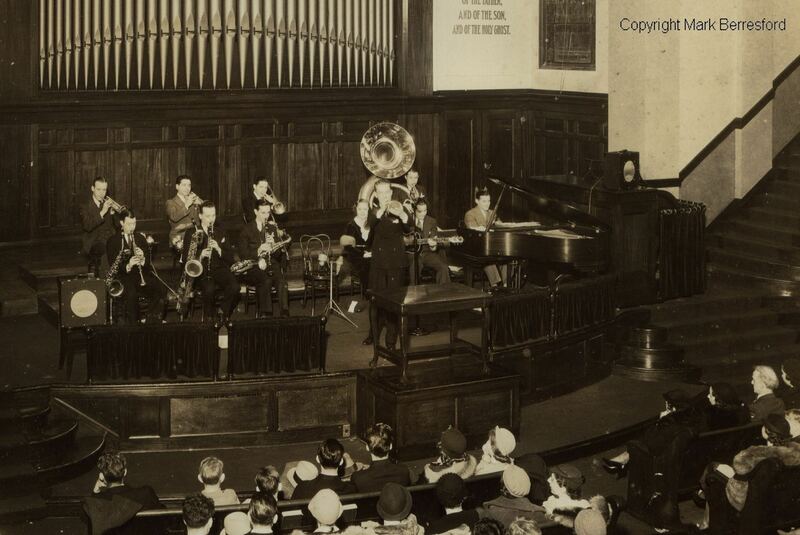 Early jazz collectors accept the fact that their heroes were more likely to record popular fare, often with well-rehearsed dance bands, than to cut loose in the studio over “Tiger Rag,” “Royal Garden Blues” or other jazz warhorses. We keep coming back for what those heroes accomplish with (or in spite of) the songs or bands. For example, both the title and forgettable melody of “There Ain’t No Land Like Dixieland” portend an innocuous listening experience. Thank goodness for Joe Venuti’s violin making a hot, bluesy mockery of the tune! His between the beat phrasing makes the jerky interlude and bellowing vocalist that follow almost bearable, until they completely fade from memory next to Beiderbecke’s lyrical solo. He squeezes and spikes the tune with unique melodic and harmonic nuances, while never completely throwing the tune away. By contrast, saxophonist Frankie Trumbauer chooses abstraction rather than augmentation, paring the melody down to the bare essentials, making a ballet out of this square dance. Venuti, Beiderbecke, Trumbauer and even journeyman trombonist Bill Rank put the arrangement and singer on “Dixieland” miles beside the point. It’s similarly worth putting up with the unimaginative score of “I Ain’t That Kind of Baby” to hear Red Nichols turns on the snark with some sarcastic scoops and bends, or sit through the plodding rhythm of “Don’t Take That Black Bottom Away” to hear the horns emerge with a tight, witty passage (not unlike the concertino soloists emerging from the orchestra in a concerto grosso). Of course recordings such as “Collette” are pure market fodder. It’s a shame that such a pretty title receives a squeezebox melody and vertical arrangement (while apparently getting recorded underwater with a frog vocalist’s imitation of Mario Lanza); on the other hand, perhaps the musicians ate a good lunch with that session’s paycheck. Early jazz lovers are also used to bumping into pure, dated banality. Yet even just a few bars of Beiderbecke’s spirit overcoming the collective, or Joe Tarto’s tuba pushing the beat, makes those encounters worthwhile. Diamonds aren’t valuable because they fall from the sky or get plucked out of flowerbeds; they’re mined, and coal often makes them seem more brilliant.